Following the film there will be a Q&A with director Mohanad Yaqubi. In this assured debut documentary, Ramallah-based director Mohanad Yaqubi draws on recently discovered and archival found-footage to explore the fraught history of Palestine and Palestinian filmmaking. 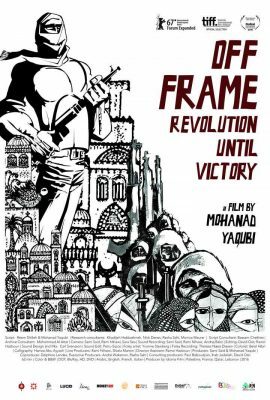 Off Frame traces the fragments of a revolution, combining images from a national dream for freedom, using films from the Palestinian Struggle Cinema, a term used for films produced in relation to the Palestinian revolution between 1968 and 1982. For the outside world, these films represented a people engaged in political struggle, explaining why they are fighting and against whom. But for Palestinians the films marked the transformation of their identity: from refugee to freedom fighter. 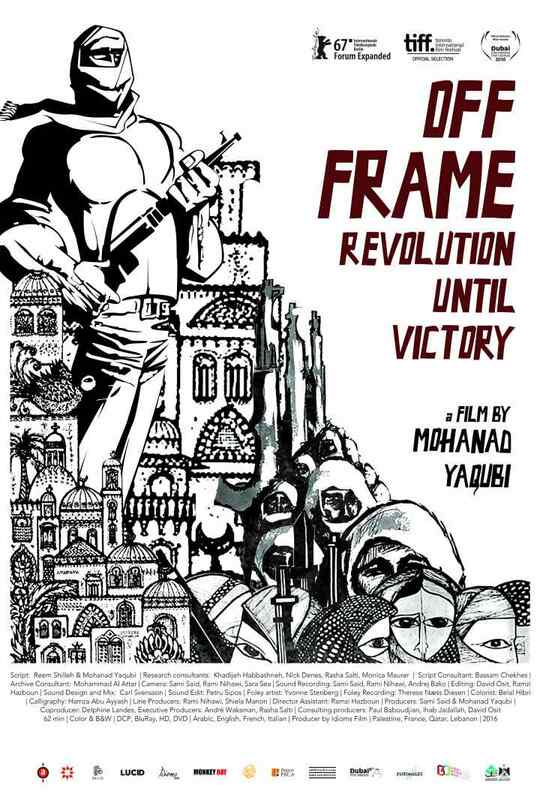 The Palestinian revolution collaborated with filmmakers, actors, and activists from Syria, Italy, UK, Lebanon, France, Germany, Argentina, and many others, and made partnerships with institutions in Berlin, Moscow, Baghdad, and Cuba. Despite their prolific output, very few of their works remain. Off Frame brings together moments from a selection of these militant films into one timeline to trace Palestine’s quest for self-determination, dignity, and ultimately, peace. A documentarian explores the effects of conflict and destruction on life in Gaza: buildings are destroyed, loved ones are lost, families are changed forever. It is an intimate look at how people force themselves to carry on following the devastation of war and how they attempt to re-establish normality.